The Bayeux Tapestry has long been recognized as one of the most problematical historical documents of the Norman Conquest of England in 1066. 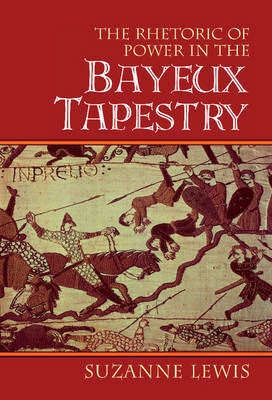 More than a reinterpretation of the historical evidence, Suzanne Lewis's study explores the visual and textual strategies that have made the Bayeux Tapestry's narrative such a powerful experience for audiences over the centuries. The Rhetoric of Power focuses on how the Tapestry tells its story and how it shapes the responses of reader-viewers. This involves a detailed analysis of the way the visual narrative draws on diverse literary genres to establish the cultural resonance of the story it tells. The material is organized into self-contained yet cross-referencing episodes that not only portray the events of the Conquest but locate those events within the ideological codes of Norman feudalism. Lewis's analysis conveys how the whole 232-foot tapestry would have operated as a complex cultural 'fiction' comparable to modern cinema.